Come for coffee and cake with Laserase Bolton! Laserase Bolton, which is in the grounds of the Royal Bolton Hospital, is holding a Macmillan coffee morning on Saturday 20 September, from 11am to 2pm. As well as coffee, tea and cakes, there will be live music, a cake decorating competition, a raffle, stalls, manicures, facials, face painting and consultation drop-in. The cake decorating competition is open to all, with prizes including specialist skin care and more. The theme of the competition for adults is “friendship” and for children is “bake my face – decorate a cake to look like your favourite celebrity”. All proceeds will be donated to Macmillan Cancer Support. To find out more about the coffee morning and to enter the cake decorating competition contact Laserase Bolton by email admin@laserase-bolton.co.uk or phone 01204 570900. This entry was posted in Charity, Events, Laserase Bolton, News and tagged Charity, Laserase Bolton, Macmillan Cancer on September 5, 2014 by Shaun. 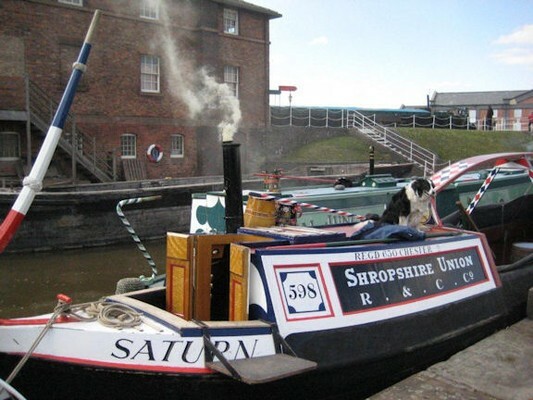 The fourth National Sea Shanty Festival takes place at the National Waterways Museum in Ellesmere Port over the Easter weekend (18-20 April 2014). Over 3, 000 visitors are expected to visit the Festival during the weekend, and visitors will be able to explore the National Waterways Museum, listen to the shanty singers during the day and find out more about the seafaring traditions of the North West. 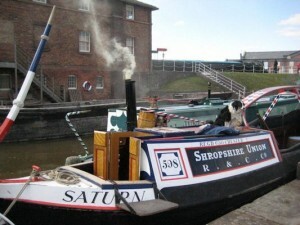 Coinciding with the Annual Boat Gathering at the museum, the Shanty UK festival brings together nearly 100 performers in seven different venues within the museum for three exciting days of singing, concerts, boat trips, museum tours, nautical poetry, puppet-making, face painting and much more. The highlight of the Festival is two concerts taking place within the museum on Friday and Saturday nights, which feature a number of acts from across the UK and Europe. This entry was posted in Events, Shanty UK on March 25, 2014 by Ethos public relations news. At Ethos public relations we were very pleased to be able to help Third Sector First with their recent Connect2013 conference in Dumfries. As well as attending on the day and helping to tweet updates from the conference, we managed the production of a printed programme for the event and media relations in advance. Over 200 people came along to the conference – probably the largest gathering of the third sector that there has ever been in Dumfries and Galloway. John Swinney MSP, Cabinet Secretary for Finance, Employment and Sustainable Growth in the Scottish Government, gave the keynote speech and explained that he wanted to see a broader range of social enterprises in the Scottish economy. Organised by Third Sector First in partnership with Dumfries and Galloway Council and NHS Dumfries and Galloway, Connect2013 brought third sector organisations in Dumfries and Galloway together with the public sector and provided a forum for voluntary organisations, charities and social enterprises to influence public policy. Connect conferences are set to become an annual event in the Third Sector First calendar. We wish Third Sector First well for future conferences. This entry was posted in Ethos public relations, Events, Third Sector First on November 13, 2013 by Ethos public relations news. 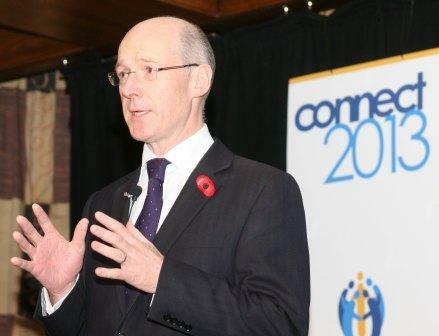 John Swinney MSP, Cabinet Secretary for Finance and Sustainable Communities, is to give the keynote speech at the first annual Connect2013 conference on Friday 8 November to promote and develop the third sector in Dumfries and Galloway. 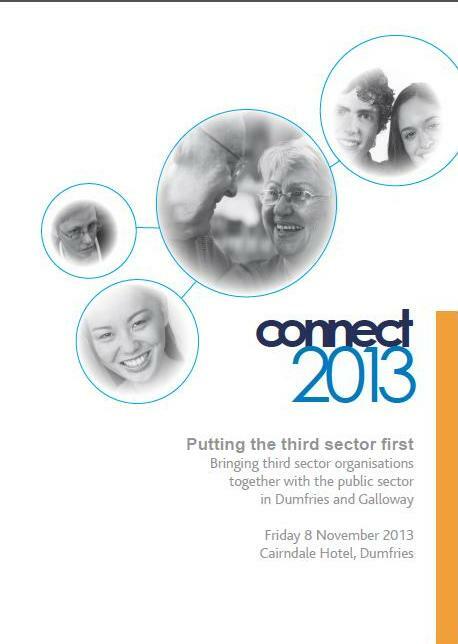 Organised by Third Sector First in partnership with Dumfries and Galloway Council and NHS Dumfries and Galloway, Connect2013 will bring third sector organisations together with the public sector. The event will provide a forum for voluntary organisations, charities and social enterprises to influence public policy. 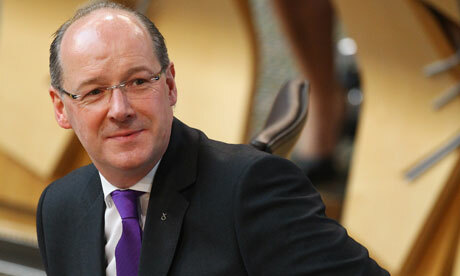 David Coulter, Chief Executive of Third Sector First, said: “Across Dumfries and Galloway there are literally thousands of community organisations. Until now these organisations haven’t had as strong a voice as they should have and Connect2013 is all about changing that. Connect2013 is aimed at all third sector organisations operating in Dumfries and Galloway, their employees and volunteers, as well as members and employees of public sector bodies. Subjects to be covered in a series of workshops include: welfare reform, community shares, care for older people and the Community Empowerment (Scotland) Bill. Connect2013 takes place on Friday 8 November at the Cairndale Hotel in Dumfries. Visit www.connect2013.org.uk for more information and to book a place. This entry was posted in Events, Third Sector First on October 21, 2013 by Ethos public relations news.